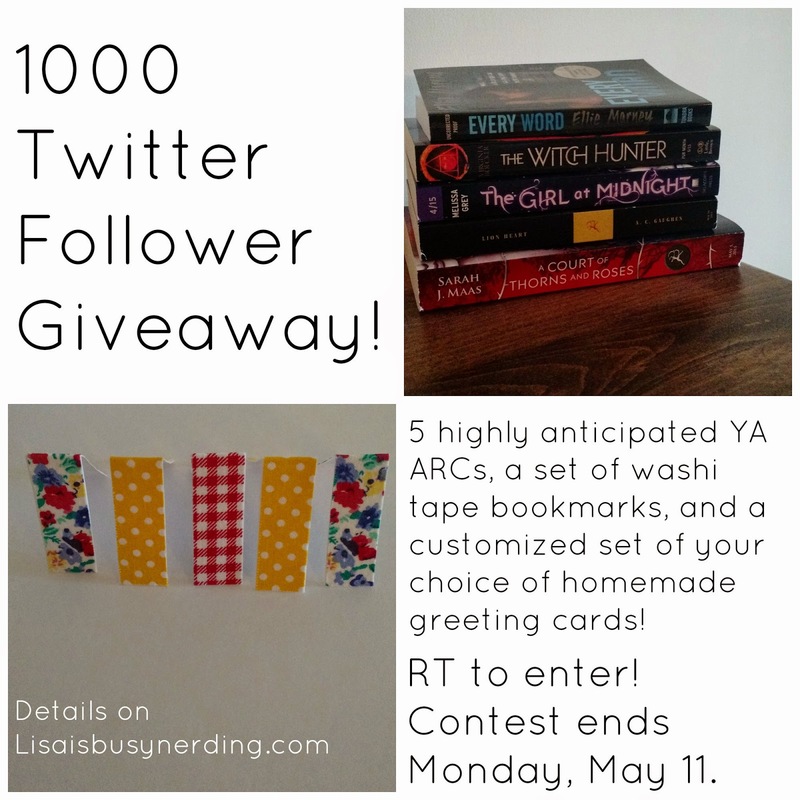 Lisa is Busy Nerding: 1000 Twitter Follower Giveaway! I hit 1000 followers on Twitter! Which of course is cause for celebration! You must be a follower on Twitter and RT the image, or tweet the link to this post, to enter! Be sure you tag me in the tweet so I can count your entry. You must also be a US resident. Otherwise, that's it! 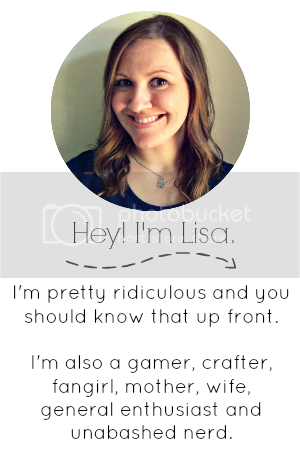 You don't need to be a blogger or a crafter or anything. If you have a US address and you tweet this picture in some way or form, you're entered! Contest ends Monday, May 11th. Thanks for following! Good luck! Congrats on hitting one thousand followers.